Have you ever seen anything like this ? Taken with a very special converted camera, 5D Mark II Infrared (595u) with special White balance. Too many hours of processing ! 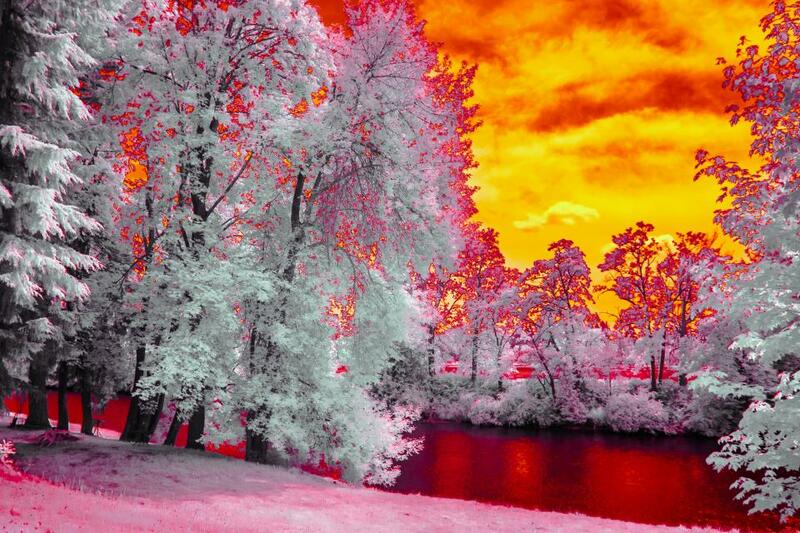 My first Infrared that I liked ! This is my mother and father inlaws back yard. Seems to put people at ease; into a peaceful feeling / !! This is in the middle of the summer at 12:30 in the afternoon !